Something we haven’t seen around here in awhile. The Houston Area Health Alert Network sent an e-mail on Friday noting that an 11-month-old child, who attended the Cirque du Soleil performance at Sam Houston Race Park on March 20, developed fever the next day and a rash three days later. She later tested positive for the highly contagious virus. 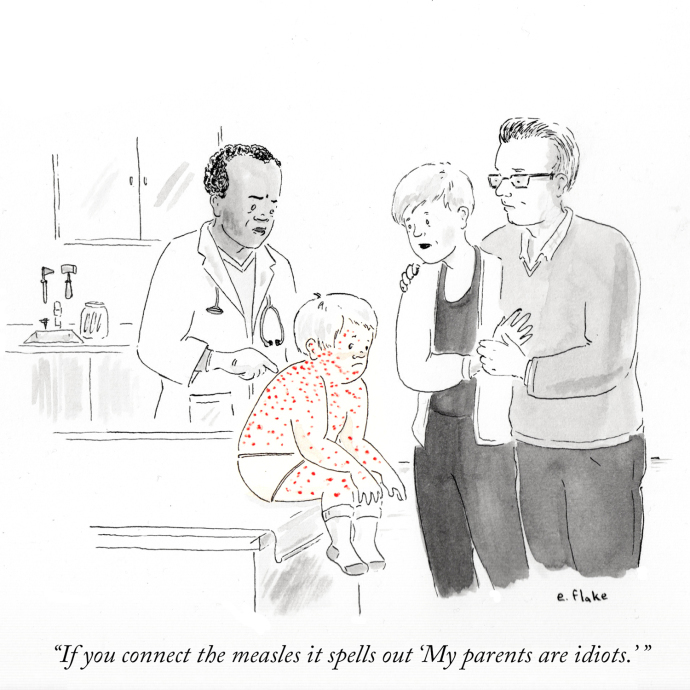 The e-mail asked local health care providers to consider measles in patients presenting with a rash. The baby is recovering, according to Kathy Barton, spokeswoman for the Houston health department. Barton said health officials are aggressively investigating any contact the child may have had with at-risk people, but said the situation is nothing like it was in the late 1980s and early 1990s, when the city’s low child immunization rate — 11 percent — led to an outbreak that hospitalized one-third of confirmed cases. Houston’s immunization rate is now 87 percent. This was the first confirmed case since 2005. I think what caught my attention in this story is the unbelievably pathetic 11 percent child immunization rate from 20-25 years ago. How was it even possible to have been that bad not that long ago? That we’ve come that far since then is impressive, but I just can’t get over how far down we once were. I wish I could say we’ll never be there again, but with the brutal House budget decimating health and human services as it does, I’m not sure I can.